By Spencer. Today we wrap up the preliminary rounds of our S&N World Cup Of Cinema with Group D play. For those who missed the rules, you can check them out here. We have three semifinalists so far — the United States, Japan, and France. The winner of today’s Group D will join them in next week’s final battle for the Cup. In the first few decades of the movie era, serious filmmakers didn’t look to America — they looked to Germany. “German expressionism” became synonymous with bold lines, sharp angles, and endless shadows, and influenced generations of future filmmakers (most prominently in the creation of the film noir genre). In many ways, Germany brought movies into the modern age. So it’s appropriate that Germany’s best film is a tone poem on the future of modernity: Fritz Lang’s iconic science-fiction masterwork, Metropolis. Revolutionary for its instantly recognizable, art deco style — not to mention its sheer ambition — Metropolis eradicated the limits of putting fantasy onto screen. It imagines a sprawling cityscape of the future, with elevated highways and flying machines passing between towering skyscrapers and pleasure gardens in which the rich may idle away — all of it maintained, of course, by a massive underground apparatus of machinery and the monotonous toil of thousands of lower-class workers who must live in the catacombs (so as not to disturb the idyllic paradise above). The city is ruled by Freder, a bureaucrat industrialist whose fascist overtones in a time when Germany was flirting with a very dark future do not go unnoticed. His disenchanted son, Fredersen, feels sympathy for the workers and switches places with one of them to learn of their plight. After working himself near to death in just one shift, he comes across a small political meeting led by the beautiful Maria, who prophesies the coming of a mediator who will bring together the working and ruling classes. Fredersen falls in love with her, but through the machinations of a mad scientist who is seeking revenge on Freder, the ruler, Maria comes to be replaced by an evil robot double of herself, who incites the workers to revolt and nearly brings the city crashing down. The story matters less than the imagery. The sheer scale of the sets, achieved through a combination of massive studio soundstages and trick photography, is impressive even today. And in a movie full of memorable images, none is more lasting than the transformation scene, in which a metal maschinemensch becomes a flesh-and-blood replicant worthy of Blade Runner. Brigette Helm’s performance as her own robot imposter is equally impressive, in the way that her oddly jerky movements seem, in darkest fashion, both human and less-than-human. Here, she incites a nightclub full of men to mob violence in a dreamlike sequence of ominous doom and ahead-of-its-time sexuality. After Metropolis, anything the director and the screenwriter could envision was now fair game. Movies might have been a passing fad if not for their unique ability to transcend the limits of realism and give sight to our wildest dreams. Metropolis made that all possible, and this is why it’s Germany’s greatest film. History and geography make the task of selecting a Chinese representative a difficult one, because the boundaries have changed over the course of China’s filmmaking history. Hong Kong, a major moviemaking center from the 1960s onward, was under the control of the United Kingdom for many of its best years, but it is part of China today. And then there’s the heated political questions around Taiwan. So you could argue that Crouching Tiger, Hidden Dragon doesn’t belong to China — indeed, the Academy awarded its Oscar to Taiwan based upon the fact that one of the four production companies that made it was based there. But then again, it was also produced with the help of American, Chinese, and Hong Kong companies, and it was filmed almost exclusively in mainland China. Our judges say it’s eligible to represent China, so leave your complaints in the comments section. But if you’ve seen Crouching Tiger before, you know that to leave it out of our World Cup Of Cinema would be a crime. A feast of innovative cinematography, with exquisite swordplay and visual effects that defy gravity, Crouching Tiger is arguably the most artistic martial arts picture ever made. To even categorize it as such seems to sell it short, for it also includes elements of the epic, the western, and the romantic tearjerker in a way that seems wholly original. Zhang Ziyi stars as the impetuous daughter of an aristocrat who steals a mystical sword, the Green Destiny, and seeks out a life of adventure. She is chased down by two seasoned warriors, played by Chow Yun-Fat and Michelle Yeoh, who harbor secret feelings for each other and who embody the life that Zhang imagines for herself. Young faces off against old, and both sides learn tragic lessons in the aftermath. In this, the movie’s most famous fight scene, Zhang and Chow tip-toe on water and glide through the branches of a bamboo forest as the movie becomes mythology and the battle becomes some akin to ballet. 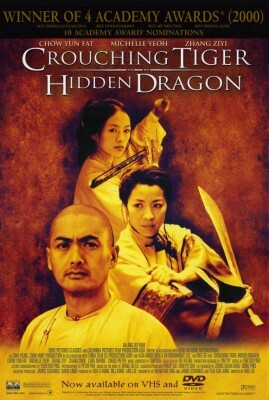 One of the few foreign language films ever to be nominated for the Best Picture Oscar, it’s China’s Crouching Tiger, Hidden Dragon. Italian cinema is perhaps the ultimate indulgence for lovers of the art house. That’s because Italy doesn’t just do one style well; it crosses genres and time periods, it gives us groundbreaking realism and romantic fantasy, and it captures the incredible passion of its people alongside the omnipresent struggles that they face. And no film does this better than 1948’s Bicycle Thieves. Following World War II, a wave of Italian directors (most prominently Roberto Rossellini, Federico Fellini, and the director of Bicycle Thieves, Vittorio De Sica) took a revolutionary new approach to filmmaking. Dubbed “neorealism,” these filmmakers sought to capture the harsh realities of day-to-day life in a country ravaged by war and crippled by poverty. To do so, they abandoned the soundstages of the studio films and shot on location in the streets, under natural light. They used real people as extras and even as lead actors. They allowed all of the beautiful little imperfections of real life to intrude upon their shots; passers-by cross in front of the camera, blocking the audience’s view, and light and shadow mix together naturally rather than create the pristine, controlled images favored by Hollywood. Bicycle Thieves achieves this aesthetic better than any other film of its time. The plot is simple: a father who has struggled to find work is given a job putting up posters around town, but cannot get the job without a bicycle. The family pawns the sheets off their bed in order to buy back his old bike, but on his very first day of work, the bicycle is stolen right out from under him. He and his young son spend the rest of the film searching Rome for the bike while, in the background, scenes of Italian poverty and class division show us the “real” story of the film. Our hero ultimately finds and accuses the man he believes stole the bike — it may take a second viewing for you to be sure whether he fingered the correct man — but the police are unable to do anything. And so our hero faces an awful choice: does he become a bicycle thief himself, in order to feed his family? The scene in which this dilemma plays out is heartbreaking and elegant. What puts Bicycle Thieves ahead of its time is the way in which it seems so much more realistic than the hokey studio pictures of 1940s America. In those films, everything is sanitized and streamlined; everything you see on screen happens only in service of a tidy little plot. Italian neorealism, and Bicycle Thieves in particular, leaves all the untidy bits in. In one famous scene, the boy follows sheepishly behind his distracted father, and is almost hit not once, but twice, by passing cars. He catches up and they continue on their way. It serves absolutely no purpose within the story. They never even comment on it. It just happens, like most of real life, and then it’s gone. Moments like these may seem inconsequential — but that’s the point. That’s why Italy’s Bicycle Thieves is our selection. If any other film aims to capture real life better than Bicycle Thieves, it may be Brazil’s City Of God. A portrait of a young man’s struggle to resist the lure of a life of crime amidst a brewing gang war and a society that doesn’t reward honesty, City Of God is both a love letter to Brazilian culture and a warning. Emulating Bicycle Theives, the cast is made up of everyday people from the streets of Cidade de Deus, a slum near Rio de Janeiro. This gives the film a disturbing authenticity, as its actors know all too well the legacy of violence they’re reenacting. In the depictions of everyday street life, the influence of the Italian neorealists is obvious. You’ll also recognize Martin Scorsese’s mark in the way the film’s narrator/protagonist walks you in intricate detail through the structure of Brazilian organized crime, from bottom to top, almost as if teaching a class; it’s a technique drawn directly from Goodfellas and Casino. But what makes City Of God so special is that it resists the easy temptation to judge its characters — acknowledging that, for many of them, their crimes stem from a lack of real opportunities to live an honest life. Even so, as the movie progresses and the cycle of killing gradually shifts earlier and earlier (some of the most disturbing scenes involve children no older than 9 or 10 enthusiastically committing their first robberies and drug deals, and creating a kill list of anyone who crosses them), it’s clear that the movie is not sanctioning the violence it portrays. This scene, in which the main character succumbs to temptation and tries his first robbery is the emotional centerpiece of the film. It’s funny, warm, and honest, and it hits home, more than any of the violence that surrounds it, how tragic it is that life can be this way for so many. When even a good kid can’t fight the drivers of crime forever, that’s an indictment of the society around him as much as it is his own failures. From Brazil, it’s City Of God. Two world powers from different eras face off. But who will move on? Historical Importance: This one isn’t even close. Metropolis changed movies forever. Crouching Tiger‘s influence, while significant, is more limited to its genre. Germany, 1 – China, 0. Direction/Visual Appeal: How do you choose? They’re each wholly original and filled with absolutely stunning sights, but if I have to pick, I’ll give the narrow edge to Metropolis for its art deco style. Germany, 2 – China, 0. Story: Story isn’t the strong suit for either film; neither plot makes much sense, and is clearly there only as a delivery mechanism for the amazing visuals. I’d narrowly side with Metropolis again, because at least it has a point to make (even if it does it with zero subtlety). Germany, 3 – China, 0. Acting: I love Brigette Helm’s performance in Metropolis, but the rest of the acting is awful. The entire cast of Crouching Tiger is superb, with Chow and Yeoh’s experienced stoicism the perfect counterbalance to Zhang’s bratty impulsiveness. Germany, 3 – China, 1. National Flavor: This one also goes to China. While Metropolis is unmistakably German, Crouching Tiger captures the history, the mythology, and the very soul of China in one film. In this match, just about every category was a complete toss-up, but Germany takes a narrow victory. Germany, 3 – China, 2. 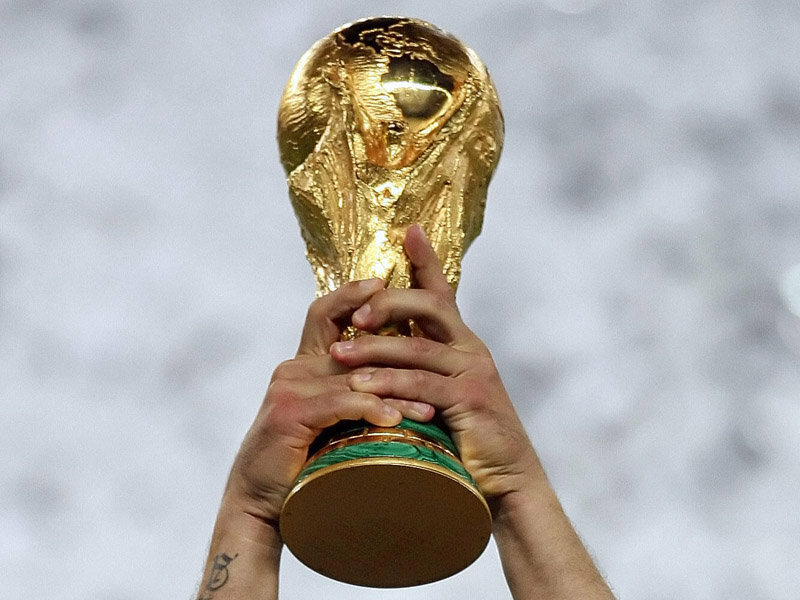 They’re the two most dominant countries in recent soccer history — but which one wins the screen? Historical Importance: No surprise that Italy gets the point. City Of God is an incredible movie, but as the forefront of an entire film movement, Bicycle Thieves has the greater influence. Without it, would City Of God have even been made? Italy, 1 – Brazil, 0. Direction/Visual Appeal: Another point for Italy. These films largely go for the same visual style, capturing reality in a harsh, natural light. But Bicycle Thieves does it with just a bit more beauty. Italy, 2 – Brazil, 0. Story: Give this one to Brazil. City Of God serves up an intricate plot full of memorable characters. It’s full of action, but some of its most powerful moments are in its family and friendships — and the toll they take on the innocent. Italy, 2 – Brazil, 1. Acting: Both movies feature “real life” people rather than trained actors, but I’ve got to give the narrow edge to Bicycle Thieves. The performances by Lamberto Maggiorani and Enzo Staiola are full of warmth and believability, and they carry what could have otherwise been a fairly dull plot. City Of God‘s performances, on the other hand, are uneven. Leandro Firmino is electric as the villain, L’il Ze, and Seu Jorge’s Knockout Ned is a model of stoic virtue gone bad. But too many of the cast members deliver dialogue in a detached, wooden fashion, including Alexandre Rodrigues in the lead — inhibiting your ability to connect with them. Italy, 3 – Brazil, 1. National Flavor: This one also has to go to Italy. Both capture street life with incredible authenticity, but City Of God focuses so much on the criminal life that it ignores the rest of Brazil’s people for long stretches. Bicycle Thieves manages to capture virtually every aspect of Italian life in just 90 minutes. All in all, while a 4-1 outcome suggests a beatdown, that’s unfair, because City Of God may be the strongest loser in our entire World Cup Of Cinema, and it runs neck-and-neck with the great Bicycle Thieves in almost every category. Italy, 4 – Brazil, 1. They’ve been enemies and they’ve been allies, but who makes the better movie? Historical Importance: The first point goes to Germany! Both are monumental in the history books, but I’m giving the narrow edge to Metropolis for all but inventing the sci-fi and fantasy genres. Germany, 1 – Italy, 0. Direction/Visual Appeal: Germany takes a commanding lead! Comparing Metropolis‘s fantasy with Bicycle Thieves‘ stark reality is practically impossible, but the edge has to go to Metropolis, for creating imagery that’s instantly recognizable almost a century later — even to people who haven’t seen the film. Germany, 2 – Italy, 0. Story: These two stories couldn’t be any more different, but the point here goes to Italy. Metropolis may be more exciting, but it can also be clunky in its efforts to hit you over the head with the capital vs. labor theme. Bicycle Thieves starts with a simple premise and uses it to make a very complicated point about the world. Germany, 2 – Italy, 1. Acting: Italy takes this point soundly. Brigette Helm’s performance aside, Metropolis is full of ridiculous overacting. The performances in Bicycle Thieves are pitch perfect. Germany, 2 – Italy, 2. National Flavor: The decisive point goes to … Italy! Metropolis speaks to a particular point in time in Germany — not the future, but the dawn of fascism — and it does it well. But Bicycle Thieves is like an Italian postcard come to life. It’s gorgeous but bitterly real. Indeed, that was the whole point. Germany, 2 – Italy, 3. Our semifinalists are the United States, Japan, France, and Italy. Next week they meet one last time, where we will select the World Cup Of Cinema champion! From a totally biased audience, which is of course very FIFA-like and appropriate, I feel compelled to comment that this entire “World Cup of Cinema” feature has been extremely entertaining to read and I’m regularly impressed with not only the movie selections but the interesting analysis for each group match. If this feature is only partially reflective of S&N’s creativity, I look forward to the future! Nice work, Spencer.